A long time ago, the technique of Samyama was described by a wise sage in India named Patanjali. (One of my favorite books is the Christopher Isherwood translation of How to Know God, The Yoga Aphorisms of Patanjali in which Samyama is described in detail.) Although Patanjali didn’t intend his Samyama technique as a formula for how to answer your own questions, the principle can certainly be applied to that. Not exactly easy to do! But those were the instructions for a serious student of yoga prior to the 4th Century A.D.
Fast forward to the 1980s and a small group of people sitting with Rama, my spiritual teacher. “What is your biggest block to Enlightenment?” he queried. My mind went blank–and not because I had entered Absorption! In the course of the discussion, I would be expected to give an answer and I had no idea what my biggest block was. But not to worry. Rama moved his gaze around the room, meditating on each person, giving them what I now refer to as a Transmission of Light. By the time he finished meditating on me and moved to the next person, the answer had arisen in my mind. Effortlessly. In other words, for a couple of minutes, Rama lent me his ability to move into Absorption. When he focused on you, you were inundated with the Universal nature of pure Light and, if you were a practiced meditator and able to still your mind, your experience simulated Absorption. Both of the above scenarios happened during the patriarchal era. The energies are massively different now. One doesn’t have to sustain Absorption for 28 minutes anymore because the New Paradigm energies support consciousness in a new, more fluid way. Good news for most of us! So how do you answer your own questions? Light is inherently intelligent. All knowledge is contained in the Light. If you want the answer to a question, the perfect answer is there, contained somewhere in the Light. The problem is, of course, your mind. The intellect is all too eager to jump in with assumptions, ideas, defenses against fears, warnings about the future… This is why we learn to meditate–to still the mind. The personal self will always come up with an answer, but is it the right one? Does the mind yield multiple answers, i.e., confusion? Is the answer colored by your circumstances? By your fears? The solution is simple. Pose the question, then drop it into the Light (whether sitting in meditation or receiving a Transmission of Light). Then, forget it. Don’t worry about the mind. Don’t worry about anything. Be unattached. 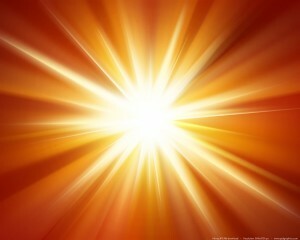 Just enjoy being absorbed in the Light while the experience lasts. And who knows? If you can do that, the answer may just be waiting for you when you return to your normal consciousness.